Money myths are all around you. Some of the most common money myths attack your efforts to get your finances in order every day. 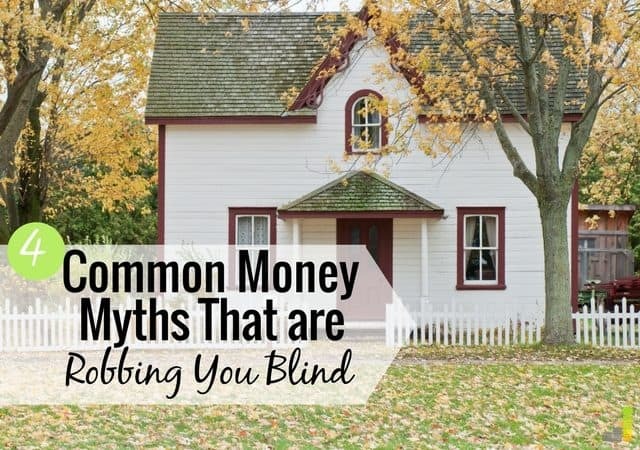 If you want to get serious about money management this year, it’s important to make sure you’re not falling for these common money myths, which are ideas, phrases or opinions about money that simply aren’t true. Unfortunately, lots of people believe them and when they do, they deprive themselves of opportunities to increase their net worth. The most dangerous thing about the top money myths is that you may think they’re helping you when in actuality, they’re making you broke. Below are some of the most common money myths and why you absolutely must stop believing them if you want to achieve your financial goals this year. There is no such thing as good debt. Your student loan debt isn’t good debt. Your house debt isn’t good debt. Debt itself can’t be good or bad. It’s just debt. Many people think student loan debt is “good debt” because it helps them reach a goal like graduation, which could potentially enable them to earn more money. Sometimes people think creditors look at student loan debt differently than other debt but really, it’s the same. Rather, your student loan debt will join all of the other debt you owe on your credit report. In many ways, student loan debt is scarier than credit card debt because it can’t be discharged in bankruptcy – unless you meet some extreme circumstances. If you want to get rid of that burdensome feeling of owing someone else, there are many ways to pay off debt that you can implement right now. One of the best ways to pay off student loan debt is to refinance or consolidate all of your loans into one loan with a lower interest rate. SoFi is one good option that can help you lower rates and pay off the loans quicker. 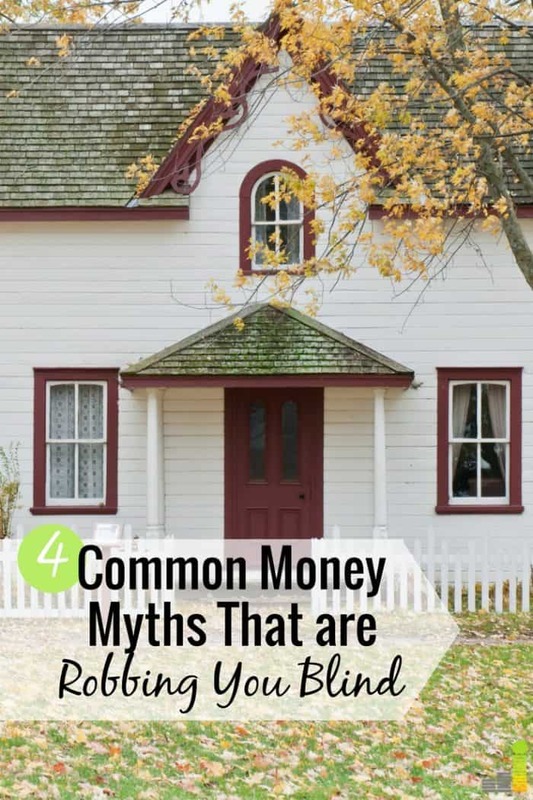 I don’t know how this common money myth got started but it’s not true and if you believe it, it’s making you broke. Your credit score is made up of a number of factors. One of them is your debt to credit ratio, so the less “space” you’re using on your credit cards, the better. You’ll also accrue interest on any balance on your credit card, even if it’s $5 (after any introductory 0% APR deal is over with, of course.) So, leaving a balance on your card isn’t helping your credit score at all. In fact, it’s costing you money. Lenders like to see that you use your credit cards responsibly. This means not maxing them out and making your payments on time every time. Leaving a small balance on your cards will cost you interest and won’t give you the best debt-to-income ratio, so make sure to pay off your cards on time and in full. I am a first-time homeowner after renting for a decade. While buying a home is a huge milestone and financial accomplishment, it’s not right to say that it’s the best option for everyone. I loathe the argument that people should own a house because mortgage payments are often lower than rent. There are just so many things to consider when buying a home. There is so much upkeep, so many repairs and so much that could go wrong that go into the true cost of buying a house. I’ve owned my house for a year, and it already needs several repairs and upgrades. As a renter, I wouldn’t have to worry about any of these things. I might even be in a better financial position as a renter and would have more cash in the bank. I don’t regret buying my home because I think it will be worthwhile in the long run. 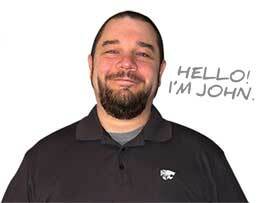 Plus, I do think our home is increasing in value because we researched our area long and hard before buying. However, I don’t think it’s right or the best financial choice for everyone. Many people assume that you can’t invest unless you have thousands and thousands of dollars, but that’s just not true and, believing that it is holds you back from making more money. Luckily, with the advent of technology, there are numerous ways to invest, even if you’re investing with $500 or less. Open an account with Ally Invest, with no minimum balance, and pay an industry low $4.95 per trade. Open an account with Betterment, with no minimum balance, and they’ll manage your investments for you. Open an account with Stash Invest, with no minimum balance, and they’ll give you $5 so you can start investing right away. Open an account with Stockpile and they’ll give you $5 in stock for free to start. Open an account with Wealthsimple and they’ll manage your investments fee-free for the first year. As you can see, you don’t have to believe everything you hear about money. Not everyone has debt. Car payments don’t have to be normal. There’s no such thing as good debt, and you can start investing right now, today, with less than $500. Ditch the money myths that are holding you back and make 2018 your best financial year yet. What are some common money myths that you’ve heard in the past? How did you find out they weren’t true? What is one area you want to grow in your money knowledge this year? Oh my goodness, I’ve worked at a bank for several years and I cannot tell you how many people have the misconception that you have to have a balance on your credit card to increase your credit score! I don’t know who started this rumor but, yikes! Also, we owned our home for about 5.5 years but just moved to a place where home values are literally decreasing! And we’ll only be here for 4 years. And my dad doesn’t understand why I didn’t want to buy a house here! And to be honest, after owning a home for a few years, I was more than happy to call my landlady and let her pay the bill when our sink backed up. 🙂 Great article! It’s definitely location dependent for sure and you’re smart to consider how much time you’d be living there! The only point I have mixed feelings about is the home ownership. My friends that rented apartments for many years are still making mortgage payments, whereas my mortgage is paid off. Yes, homes cost money to maintain, but my home is my solace and has provided many non-financial benefits. Where I live, homes have maintained their value and my home has quadrupled in value since I purchased it. Some net worth calculations don’t include a person’s real estate. That’s nonsense. It wouldn’t be realistic to exclude the value of my home. When I retire, my plan is to sell my home, downsize, and be mortgage-free. To each their own for sure! I agree with you 100% on the buying vs. renting a house debate. It really all depends on everyone’s situation. Just like you Catherine, I own a house and never regret that decision. 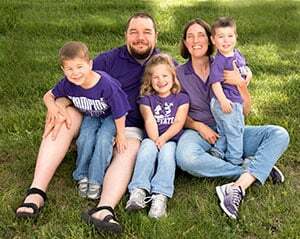 Raising my kids under a home we could call our very own is something that I can and always be proud of. FYI, still have mortgage payments..lol.